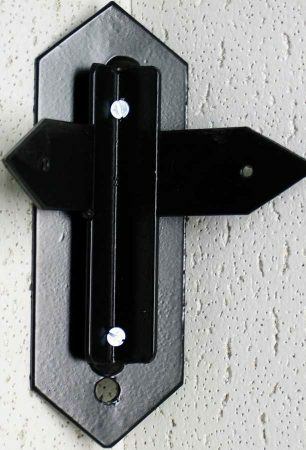 Made in Britain, a black finish corner bracket adapter for our outdoor leaded lantern range. Manufactured from sturdy iron and finished in black, this corner bracket is an exact fit and supplied with fastening crews to attach your outdoor leaded lantern. Please note: This bracket is made specifically for the leaded lantern range and will not fit other outdoor lanterns. please can you tell me what material the wall bracket on the lantern is made of? Hello Mr Heap, the lantern wall bracket is made from wrought iron finished in black.